Instagram, the 3rd most popular free mobile app avaliable for download, has just updated its software to include a new video feature. Instagram was aquired by Facebook in 2012. 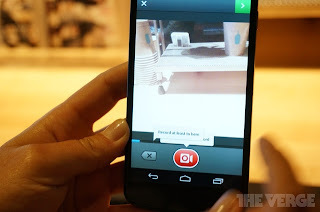 With its new video sharing feature, Instagram competes even more with its competitor the Twitter-owned app Vine (Vine was immediately snubbed the "Instagram for video" when it was first released in June 2012). The biggest difference between the 2 programs with be that Instagram video will allow for up to 15 seconds of video, while Vine only allows a maximum of 6 seconds. Instagram video will offer the same filters for videos as it does for pictures, so users will be able to edit their footage with different effects. Will Instagram take over as the most popular video sharing app? Time will tell!